We have master teachers that can implement the MTM program onsite at your school. If your school is located in Southern California, contact the regional manager below that is closest to your county to receive a custom quote. If your school is not located in these areas or if you want to implement the program with your own teachers/volunteers, please click here. Area: Bellflower, Cerritos, Cypress, Fullerton, Hawaiian Gardens, Huntington Beach, Hawaiian Gardens, La Habra, La Mirada, La Palma, Lakewood, Long Beach, Los Alamitos, Norwalk, Rossmoor, Santa Fe Springs, Stanton and surrounding cities. Area: Anaheim Hills, Buena Park, Costa Mesa, Fountain Valley Garden Grove, Orange, Santa Ana, Stanton, Westminster and surrounding cities. Area: Brea, Chino, Corona, Diamond Bar, El Monte, Fontana, Placentia, La Puente, La Verne, Montclair, Rancho Cucamonga, Rowland Heights, San Dimas, San Bernardino, Upland, Walnut, Yorba Linda and surrounding cities. 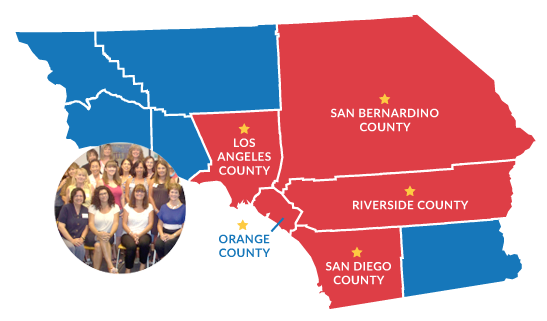 Area: Aliso Viejo, Irvine, Laguna Niguel, Lake Elsinore, Lake Forest, Mission Viejo, Murrieta, Tustin, San Juan Capistrano, San Clemente, Temecula and surrounding cities.